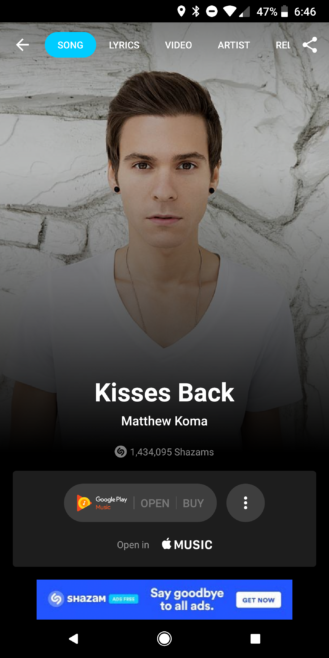 Shazam has revamped the interface of the song page inside its app. 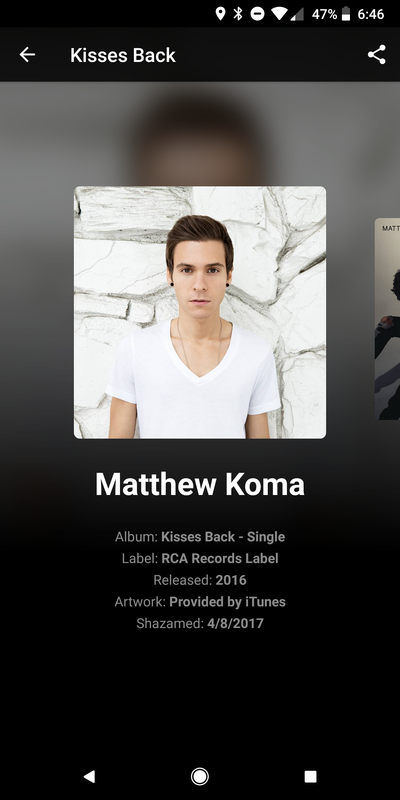 The update, which began rolling out yesterday, brings a fullscreen artist image, replaces the long scrolling page with multiple menus, and gets rid of most of the visual clutter. However, it's only affecting the free version of Shazam. 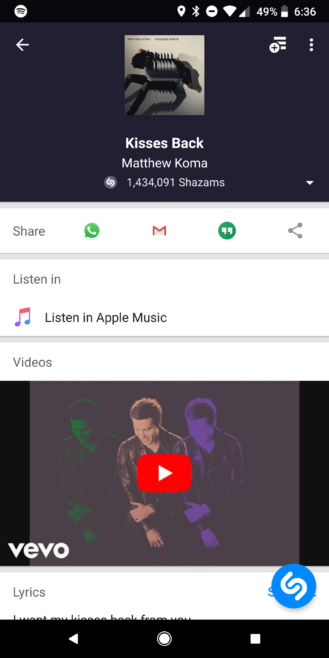 Left: Shazam 8.2.2. 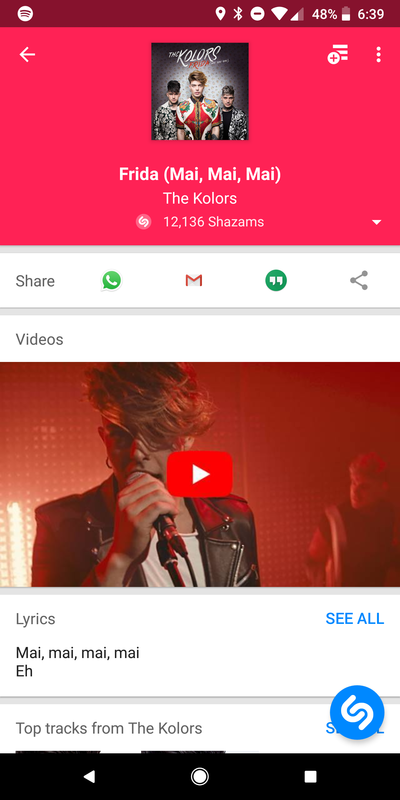 Right: Shazam 8.3.1. The difference is pretty clear when you open any song you've previously Shazamed. 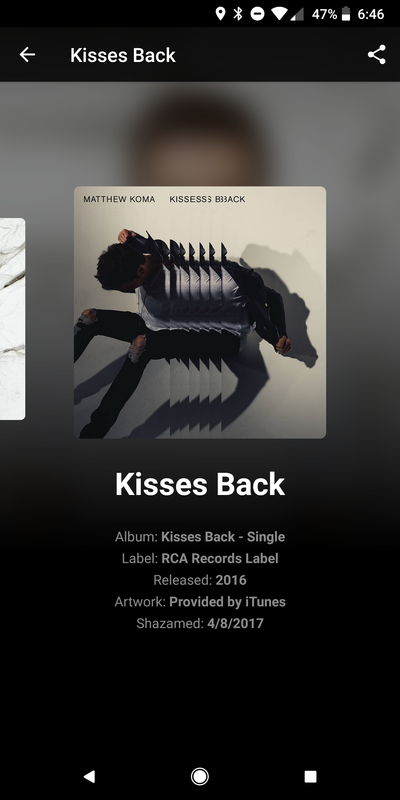 Instead of the teeny artwork followed by the Share bar, videos, lyrics, and artist tracks, you now have the artist's image splashed across your entire screen. It's a little weird that Shazam went with the artist and not the cover art of the specific song, but I guess it makes a bit of sense as you're more likely to associate with the artist's face than you are with the specific art of each of their releases. 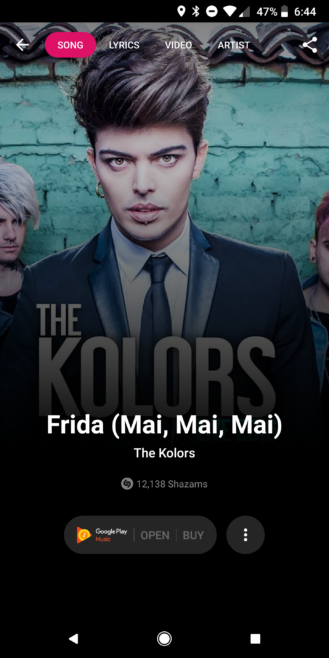 The song's title is big and very clear against the background, and the artist's name and number of Shazams are still there. Below, you'll see links to open the track in various streaming services as well as a quick option to buy if that's possible. 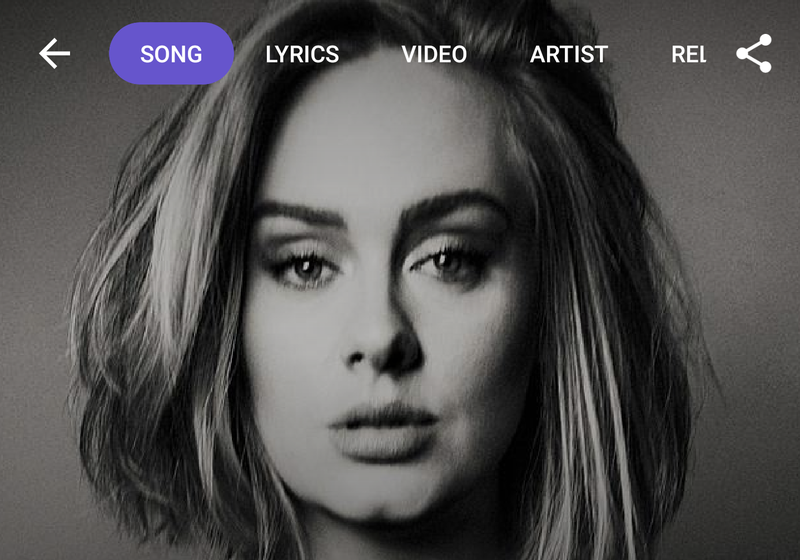 On top is the new menu with tabs that lets you jump to the lyrics, video, artist details, and related tracks, as well as share your discovery. If you're wondering where the track cover art went, it's still there when you tap in the middle of the screen. If multiple images are available, you can swipe through them and see their provenance. - Connected to Spotify? You’ll now see an ‘Open’ or ‘Add to’ playlist button. As mentioned above, this update is rolling out as part of version 8.3.1 of Shazam, which you can grab from the Play Store or from APK Mirror. It still hasn't rolled out to the paid Shazam Encore, which continues to be shunned when it comes to updates and features. 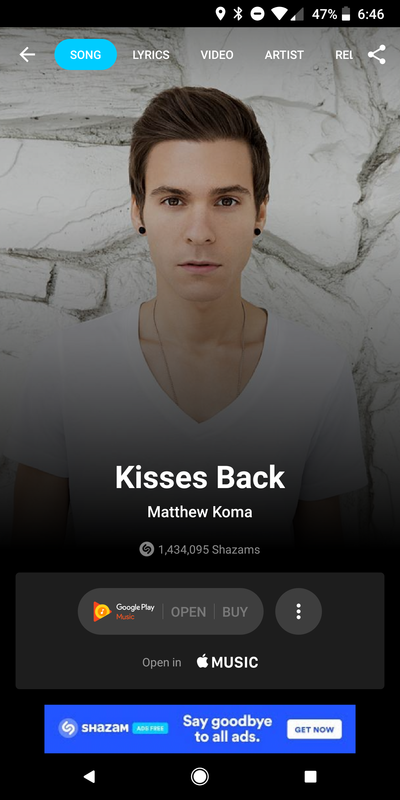 Update: The update to version 8.3.1 has also rolled out to Shazam Encore and with it comes the same new song page.